Fundus Photography is the term used for taking photographs of the retina. Fluorescein Angiography is a technique where fluorescien is injected into a vein and allowed to circulate throughout the body. Photographs are taken while the dye moves through the eye and the fluorescien highlights the vessels within the eye, especially those in the retina and allows the detection of vascular abnormalities. 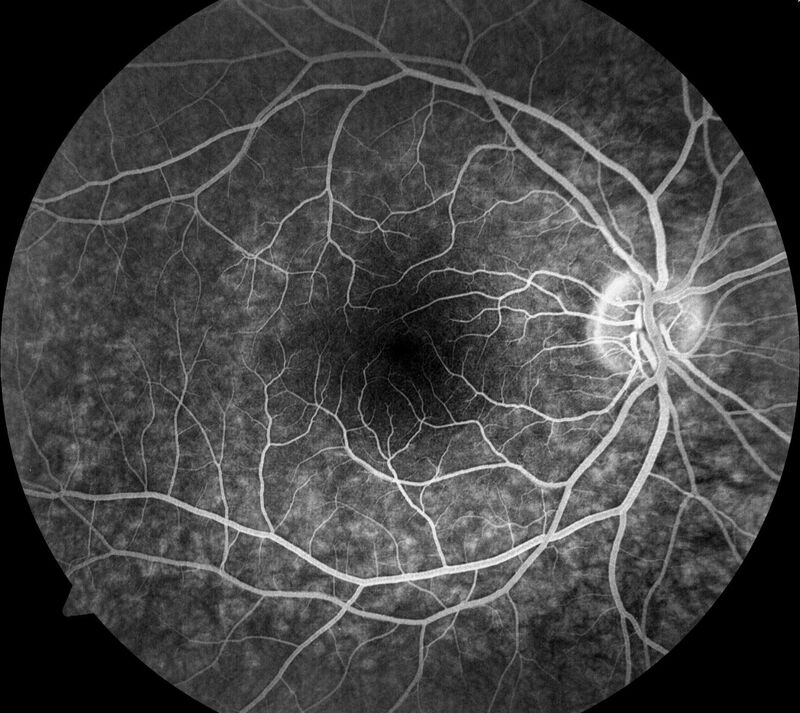 A fluorescein angiogram with fundus photos takes around 20 minutes to be performed. Multiple photographs with a flash are taken of the eye during this procedure and although bright it is not uncomfortable. Flurescein Angiography - Please see the explanation and video located 1/2 way down the page.